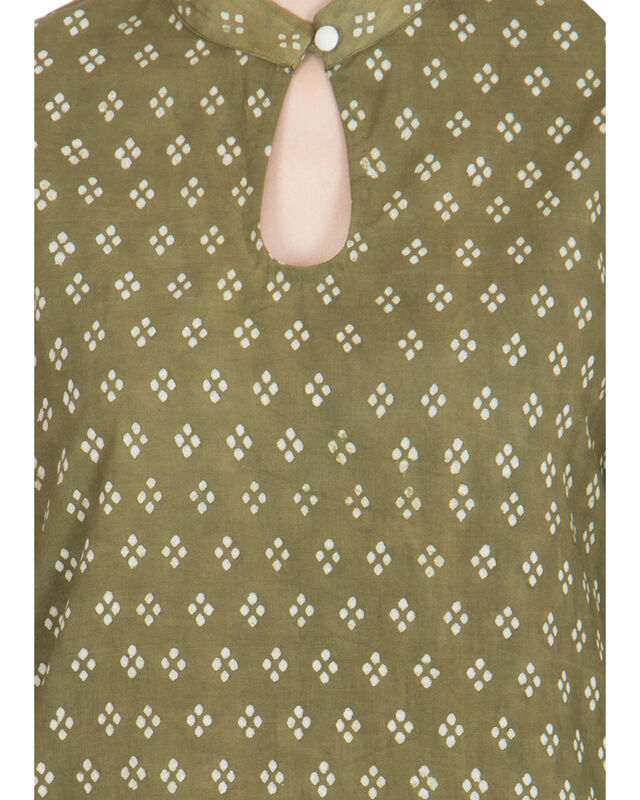 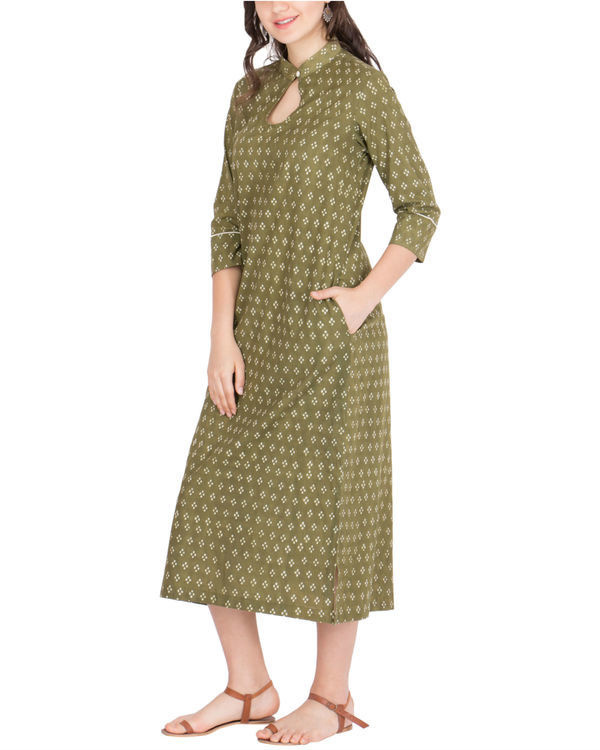 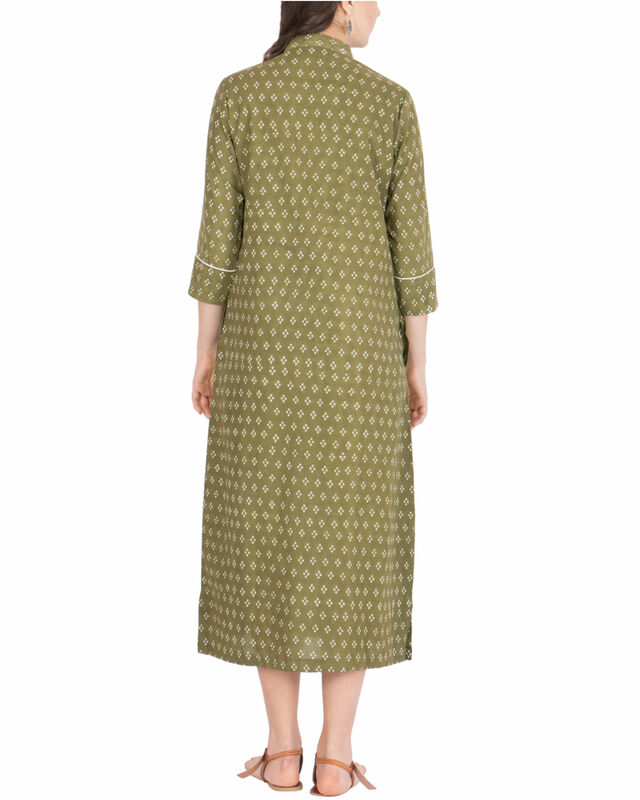 Dress in this loosely fitted dabu print cotton tunic in earthy olive green colour and enjoy the ease in style.  Subtle silhouette featured by band style keyhole neck, quarter sleeves and invisible side pockets are the major callouts. 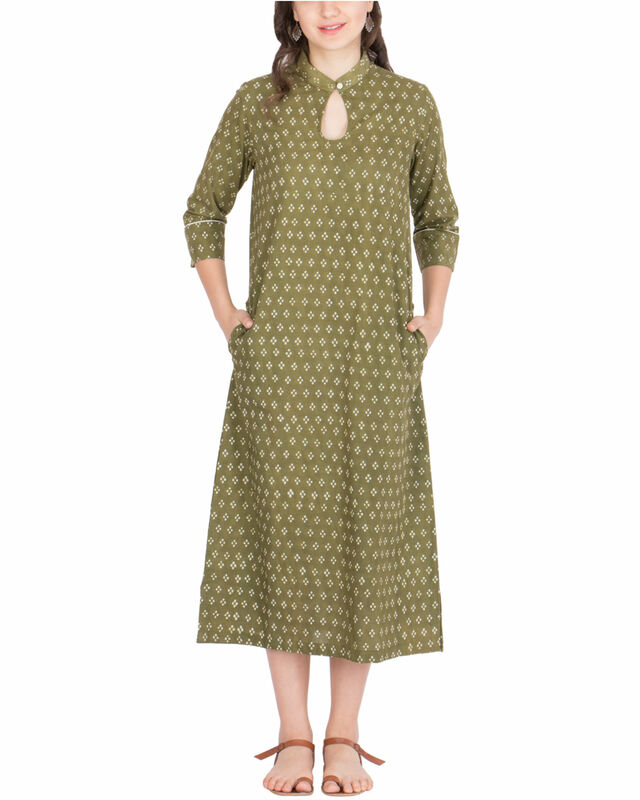 Enjoy the relaxed feel on a workday or day out.